It is not out of the ordinary for Hollywood franchisees to market their movies constantly through merchandizing. Toys, action figures, memorabilia, have all been used for promotional purposes. Over the years, there has been some really cool stuff that diehard fans of a particular franchise have latched on to. Science fiction fans would be well aware of the Tron film franchise. For the uninitiated, Tron is a 1982 sci-fi film about a gifted software engineer caught in a stunning digital universe. The movie has spawned video games, comic books, and a 2010 sequel. 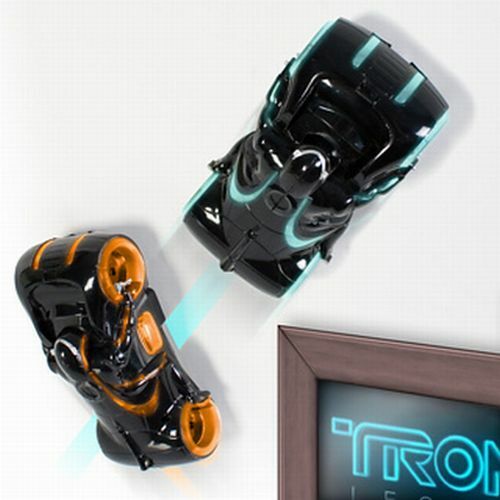 Tron: Legacy is the 2010 sequel to the 1982 science fiction film. If the first film was a landmark for its extensive use of computer graphics, the sequel has pushed the boundaries of CGI effects. 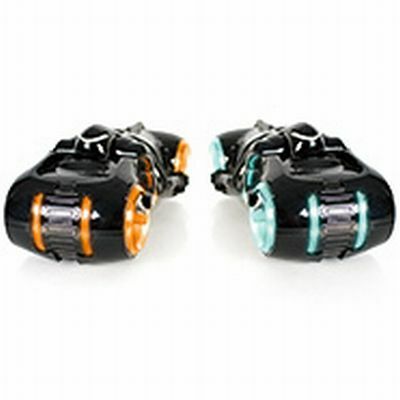 As part of the marketing effort, the Tron franchise has released a set of awesome Tron Zero G Light Cycles that should have fans going gaga. Covered in a sleek, black body, the rectangular Zero G Light Cycles are probably one of the coolest film-related toys, and not without reason. Film merchandize has largely been restricted to action figures or model replicas that fail to capture the excitement and imagination of the real deal. 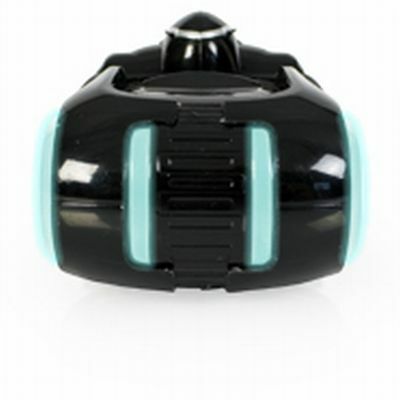 The Tron Zero G Light Cycles manages to bring alive the excitement and adventure of riding a light cycle. The first thing the designers of the Zero G Light Cycles have gotten right is the look and feel of the actual Light Cycles. 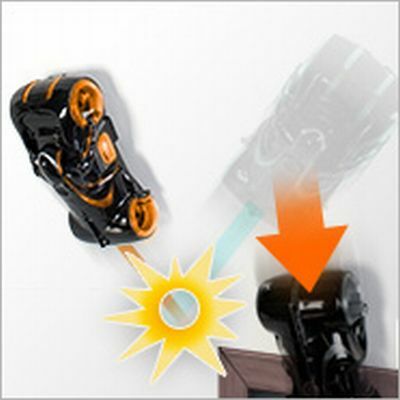 Each Light Cycle is covered in a shining coat of black with the trademark fluorescent blue or orange lines running across the body of the cycle. The Tron Cycles even have the riders in their black suits modelled on the body. The second thing the designers have got spot on is the functionality of the toy Cycles. Not only does the models look and feel like the real deal, they function like actual Light Cycles as well. Users can drive their toy cycles across floors and up walls and ceilings as well with an IR remote control. 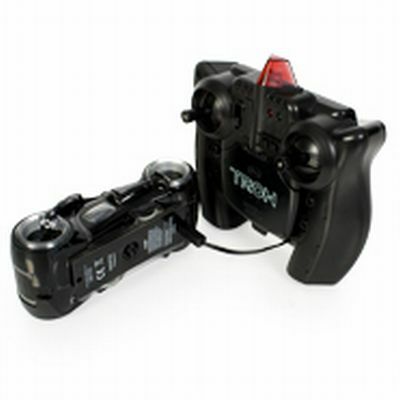 The remote control doubles up as a charging station for the toy’s rechargeable batteries. We have saved the best feature of the Light Cycle for the last. The Light Cycles emit a trail of light that causes the opponent cycle to fall off a wall or ceiling if it crosses the trail. What more does a collectible need to have? If you’re a Tron fan, then latch on to one right now. At £34.99 , one can own this toy. Amazing, isn’t it? There are other great designs such as Bigtrak Jr, R/C Controlled Car and Fuel Cell Experiment Car that you can check out if you like to play with cars.